Recent congressional attention on prescription drug prices has focused mostly on older drugs, those purchased by pharmaceutical companies who immediately triple or quadruple the price. But a study at the University of North Carolina has taken a close look at the cost of new drugs – specifically, pills used to treat cancer. It finds these pills are “dramatically more expensive” when they hit the market, compared to similar drugs launched 15 years ago. The researchers on this project found that a month's worth of treatment with the newest cancer drugs, on the market since 2014, were, on average, six times more expensive than the launch prices of similar drugs introduced in 2000, even after adjusting for inflation. Put another way, pills winning Food and Drug Administration (FDA) approval in 2000 cost an average of $1,869 per month. Similar drugs introduced in 2014 cost $11,325 per month. Study author Stacie Dusetzina says the big take-away is that these drugs are just getting more expensive over time. She says the last decade has seen a push toward developing orally-administered drugs for cancer patients. As their costs skyrocket, she says those rising costs will increasingly come out of patients' pockets. The study shows that imatinib, also known as Gleevec, launched in 2001 at the price of $3,346 per month. The cost is now $8,479 – an annual increase of 7.5% at a time when inflation averaged around 2%. Until recently, patients with a good prescription drug benefit were mostly insulated against these costs. The costs were paid by an insurance company which spread the increase through higher premiums for everyone, including those who purchased no prescriptions. 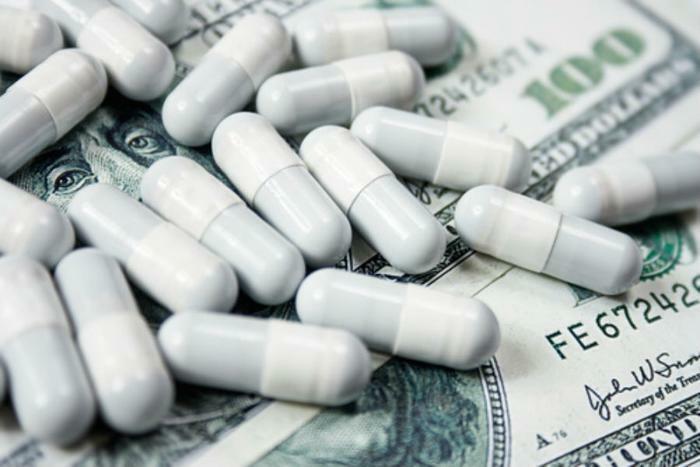 Dusetzina says patients are now starting to pay more for these high-cost specialty drugs, even though many health plans have picked up most of the cost for orally-administered cancer drugs. "Patients are increasingly taking on the burden of paying for these high-cost specialty drugs as plans move toward use of higher deductibles and co-insurance - where a patient will pay a percentage of the drug cost rather than a flat copay," she said. A recent report from IMS Health appears to confirm the North Carolina findings. That report focused on specialty drugs – a category that includes orally-administered cancer drugs. As we reported last June, researchers at the MD Anderson Cancer Center in Texas, raised a similar alarm about surging cancer drug costs. They noted that the increase in price did not come from improvements or refinements in the drugs, but simply a matter of the drug companies charging more. The IMS Health report found specialty drug spending nearly doubled over the last five years, making up more than two-thirds of total drug spending between 2010 and 2015. Last year, it found specialty drug spending rose 21.5%, to $150.8 billion. In comparison, spending on all types of prescription drugs rose by around 9%. Does your doctor know how much those medical tests cost? Country Favor recalls "Best Taste Keo Me Den Candy"